10.5" x 15.9" stitched on 14 count. 8.2" x 12.4" stitched on 18 count. The Little Bridesmaid cross stitch pattern... 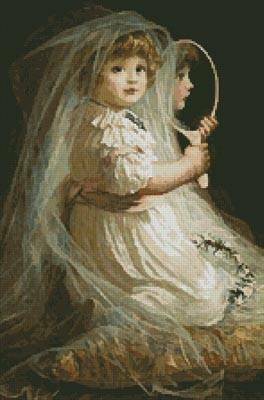 This counted cross stitch pattern of a Little Bridesmaid was created from a painting by Phillip Richard Morris.